Last weekend I invited a couple of girlfriends over because I really wanted to make this cake and needed some friends to share it with. I was at a birthday party a couple weeks ago and had a wonderful slice of strawberry cake with lemon frosting. I couldn’t get that cake out of my head so I just had to make my own! Sift cake mix and vanilla pudding over bowl on standing mixer. Add eggs, water, oil, pureed strawberries, and vanilla and incorporate well. Add food coloring until you reach desired coloring. Bake at 350 for 35-40 minutes or until a toothpick comes out clean. Set aside to cool. Place sugar, cream of tartar or corn syrup, salt, water, and egg whites in the top of a double boiler. Beat with a handheld mixer for 1 minute. Place pan over boiling water, being sure that boiling water does not touch the bottom of the top pan. (If this happens, it could cause your frosting to become grainy). Beat constantly on high speed mixer until stiff glossy peaks form. In all honesty this usually takes longer than 7 minutes. 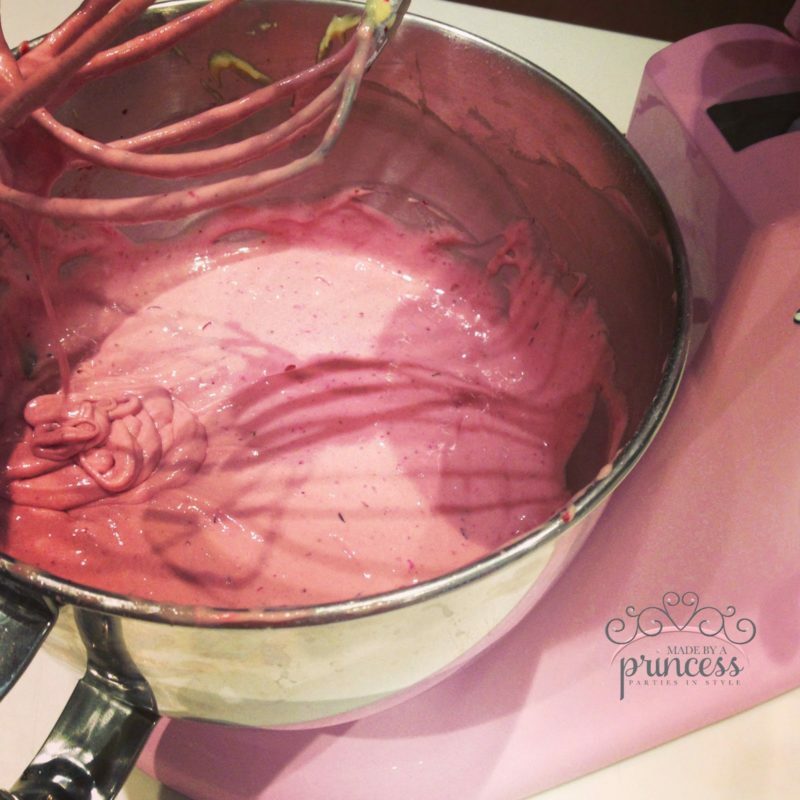 To check if your frosting is stiff enough take a spoon and put in frosting and pull up. If peak falls easily it’s not ready. Once you have desired stiffness add food coloring and vanilla. Slowly add lemon extract or lemon juice and zest.